Visit Rice University, University of Texas at Austin. Gulf of Mexico Dolphins Cruise、NASA Space Center. Visit Texas State house and military museum. 1. Free Airport Pick-up at DFW and DAL during 9:00AM-10:00PM. 2. Paid Pick-up: Available 24hrs, $100 for the 1st and 2nd guest, $20 extra per guest starts from the 3rd guest. 3. Free Airport Drop-off at DFW and DAL after 15:00PM. 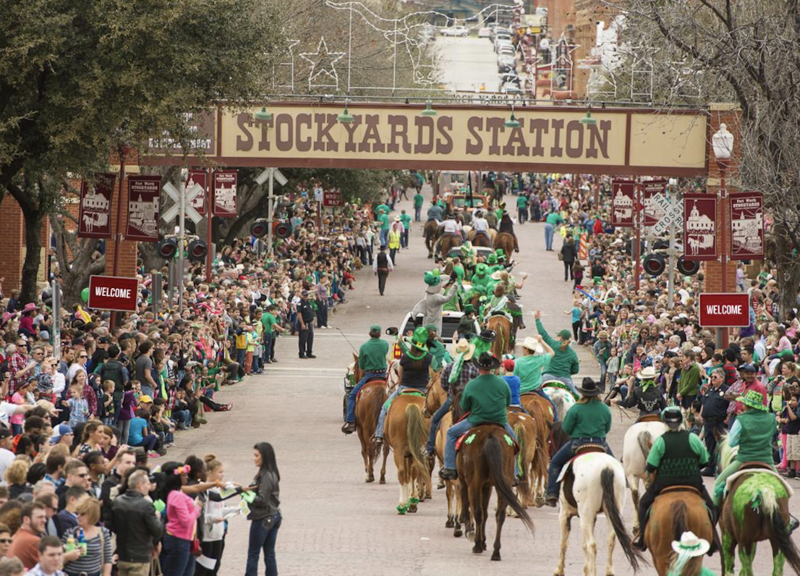 We will arrive at the Capital city of Texas: Austin. Guests will have a chance to go inside for the State Capitol, contains the offices and chambers of the Texas Legislature and the Office of the Governor. 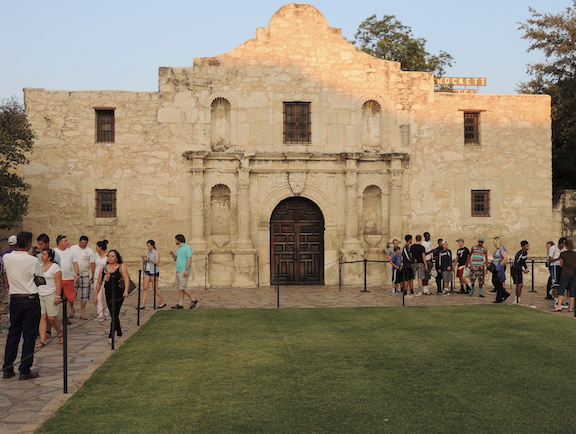 Next, we will visit Texas Military Forces, a museum about the history of Texas' militia, volunteer forces and Texas Military Forces from 1823 to the present. . At night, yomay choose to join our Night Tour in San Antonio. Special Notes:1. If Texas State Capitol is closed, we only visit outside. 2. Texas Military Forces Museum is closed on every Monday, will not visit if closed. Natural Bridge Caverns are the largest known commercial caverns in the U.S. state of Texas. The caverns feature several unique speleothems and other geological formations. The temperature inside thecave is 21 degrees Celsius (70°F) year-round and the humidity rate is a constant 99 percent. The caverns are still very active and considered living. Due to the porosity of the limestone, rainwater travels downwards through the layers of rock, where it dissolves out calcite, a weak mineral that makes up all the speleothems at Natural Bridge Caverns. After exiting the limestone, water enters the caverns where it flows and drips constantly throughout, causing the formations to retain a waxy luster that can be seen in few caverns. 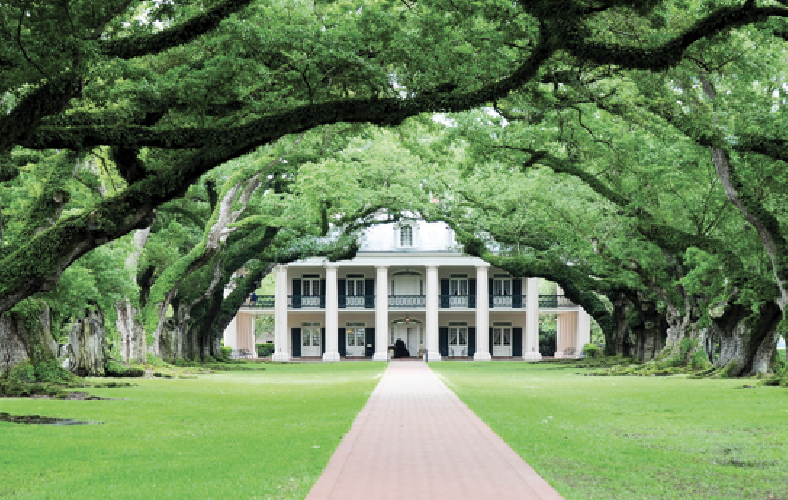 When we reach Oak Alley Plantation, a U.S. National Historic Landmark located at the west suburban of New Orleans, our attention, right away, would be attracted to the astonishing beauty that the plantation presents. We will also have a Swamp Tour, a fun adventurous yet safe boat ride that showcases the unique eco system of New Orleans region. 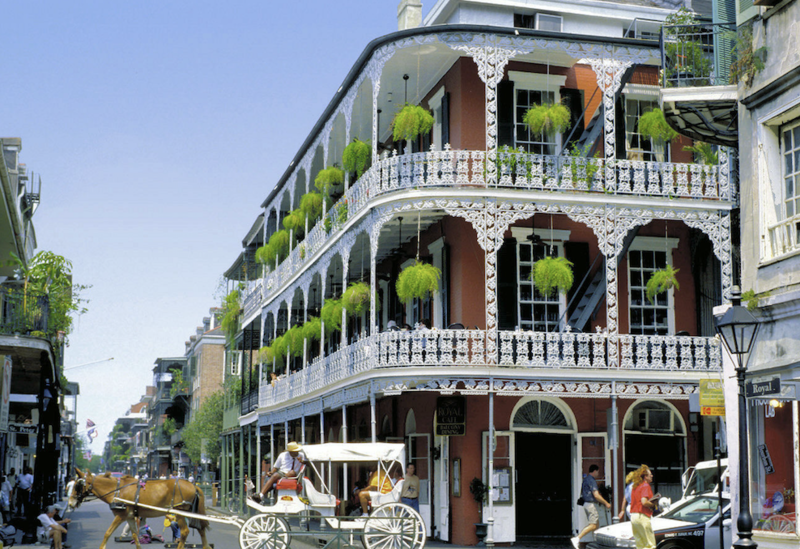 Next, we will head to our hotel for the night located at French Quarter district in New Orleans. 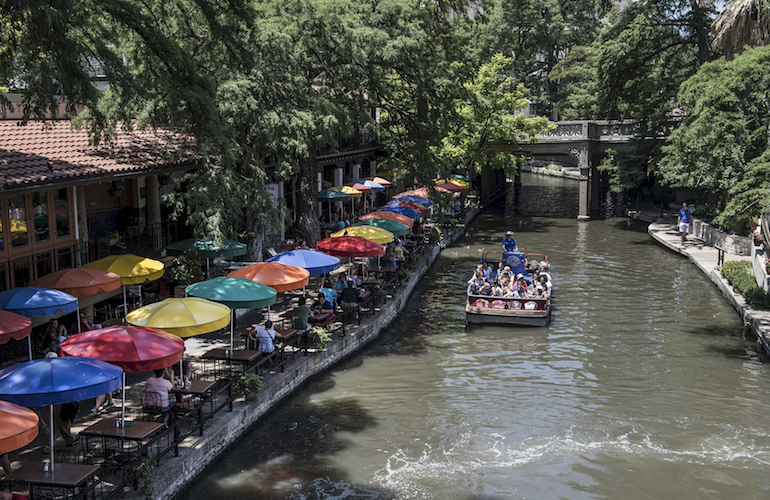 Guests can enjoy the rest of your day exploring the area. Itinerary: Oak Alley Plantation（Optional, 90 mins）→ Swamp Tour（Optional, 90 mins）→New Orleans → New Orleans French Quarter → Carriage tour (Optional, 30 mins) → Check in French Quarter Hotel. Oak Alley Plantation is a U.S. National Historic Landmark located at the west suburban of New Orleans, our attention, right away, would be attracted to the astonishing beauty that the plantation presents. Visitors may even feel that they were taken into the scene of “Gone with Wind”. The master’s big house is contrasting with the slave quarter nearby. Two rows of 300-years-old oak trees are not only concealing the amazing quarter-mile-long garden road, but also the bitterness of the south had borne after Civil War. The natural environment of New Orleans is as distinctive as its local culture. Swamp Tour A fun adventurous yet safe boat ride that showcases the unique eco system of New Orleans region. You’ll have opportunities to see alligators, snakes, turtles, egrets, herons, ibis and many other species as well as many strange looking plants living in the swamp. It is like entering a land of unknown. The natural disaster remains of Hurricane Katrina of ten years ago can still be seen. It is so fascinating of the untouched swamp wildness of the pristine beauty. First thing in the morning we are going to visit the National WWII Museum, formerly known as the D-day Museum, a military history museum emphasizes the American experience in World War II. Around noon we will take you to the Mississippi Steamed Jazz Cruise. 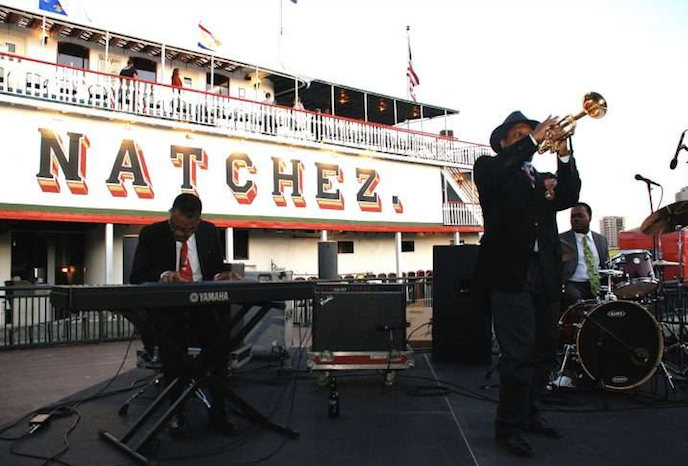 The cruise from the heart of the French Quarter shows you why the city was founded on the beautiful crescent of the lower Mississippi River.The live Jazz performance on thesteamboat will make you an unforgettable trip. The National WWII Museum formerly known as the D-Day Museum, is a military history museum located in the Central Business District of New Orleans, Louisiana, on Andrew Higgins Drive between Camp Street and Magazine Street. The museum focuses on the contribution made by the United States to Allied victory in World War II. We will make our first stop to Battleship Texas, took part in some of the most significant naval battles of the 20th century during both world wars. Then go for San Jacinto Monument, the world's tallest masonry column. 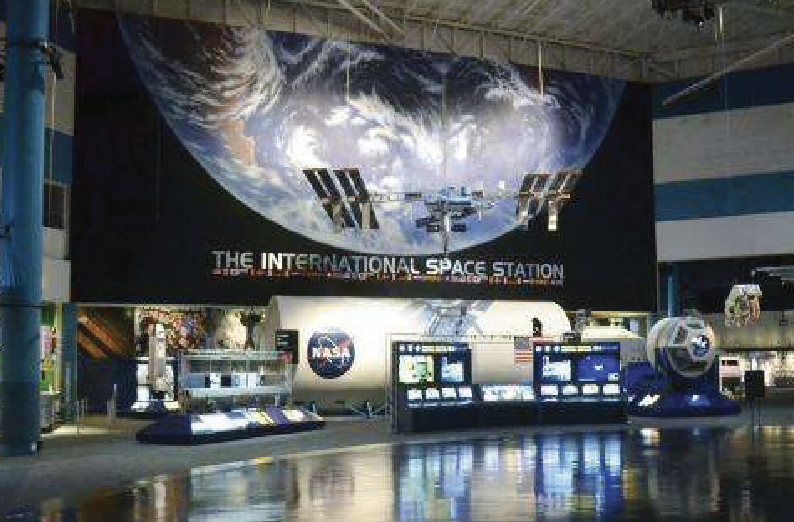 The most important part of the day isNASA Space Center.We will go to the Space Center for Tram tour to Rocket Park, see the control center, astronaut training center, space shuttle. Dolphin Sightseeing Tour Dolphin Cruise in Golf of Mexico brings you up close to view the dolphins in their natural habitat, see birds and marine life. We are usually able to get a close up view of playful dolphins jumping. DFW or DAL airport after 15:00PM.